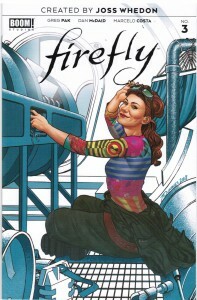 In the new FIREFLY series, a character is saying that Mal and Zoe are war criminals. But that can't be true... right? 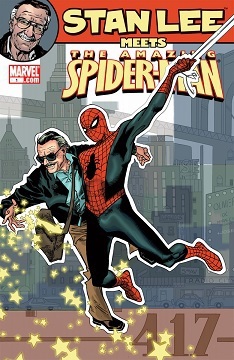 The main story's by Stan Lee and Olivier Coipel. The back-up's by Joss Whedon and Michael Gaydos. NoScans: A new Batgirl movie is announced, with Joss Whedon to helm?? Well, this is unexpected, to say the least! In the week that Buffy has celebrated it's 20th anniversary this news has just come out out. Whedon is nearing a deal to write, direct, and produce an untitled Batgirl pic for Warner Bros. as part of its DC Extended Universe. I may have my issues with the man, but this is big news, and a very positive sign for Batgirl I think. And I suspect that, given his tone with the MCU, we might see something a little more upbeat and heroic from the DCEU.... thank heavens! I figured some of you might be interested to know that Comixology currently has a 50% off sale (99 cents per issue) for the entire series of Runaways. Related miniseries aren't included. On a related note is Vol. 3 worth checking out? I've heard mixed things. Finally, here's Molly taking out the trash. Season 10 begins. 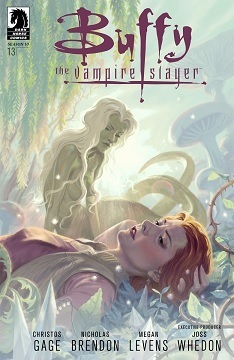 And the creative team from last season's Angel & Faith, Christos Gage and Rebekah Isaacs, takes over the Buffy reins. 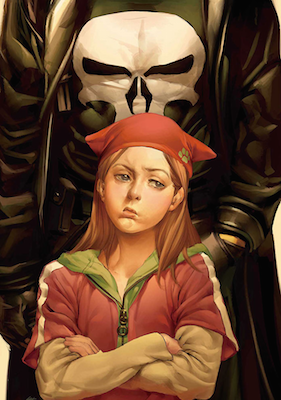 Some Marvel Solicits and Movie News! Both solicits featuring the lovely Psylocke! Some were afraid Billy would die, huh? 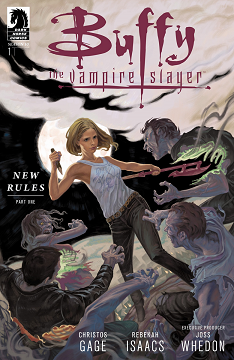 Not long ago, a new issue of Buffy put the spotlight on a new kind of "slayer" - a boy. Generically called Billy the Vampire Slayer, here is part one of the two issue story. Last issue, we found out that Drusilla mysteriously regained her sanity. This issue, we find out how. salinea was interested in reading about it and I thought maybe a few of you might be interested as well. i tried to do the class justice, i hope i succeeded at least in part.